* Training (by CTC volunteer staff), we have the full range of Microsoft Office products. 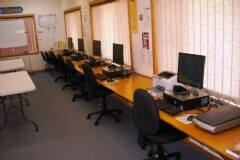 The training room has 10 networked computers with Windows Vista and a wide range of software applications. 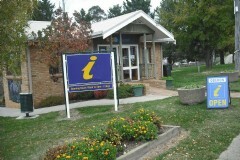 The training room has been used by VERTO (formerly Central West Community College), Oberon Council, OPTA and many more to conduct courses. The CTC volunteers have also run workshops on Digital Photography, Basic Computers and many 1-1 tutorial sessions. Visit our website for more information on the workshops we run. 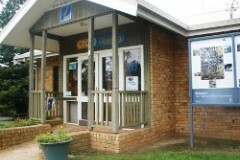 CTC@Oberon runs a large range of learning programs, including non-accredited courses (Computers for Beginners, Using a Digital Still Camera, eBay, Internet Basics, Microsoft Office, File Management and Security. We can arrange accredited courses through an accredited trainer, self-paced training, and one-on-one mentoring by volunteers and staff. We also conduct a full week of activities during Seniors Week. Complete your details below and your enquiry will be emailed directly to Oberon Community Technology Centre (Oberon CTC). Please check your contact details are correct to ensure the quickest possible reply.